One of the few positive outcomes of the Trump presidency, is that some people have become so fed up with the quality of those in elected office, that they are willing to leave careers that they love behind in order to challenge and replace some of the appalling current politicians in Congress. Indeed, I have read that there is a new trend of scientists who have decided to run for political office. But the war on science goes beyond the broad attack on the truth. Trump’s pick for the Environmental Protection Agency (EPA) director, Scott Pruitt, has been especially damaging to science and the quality of the environment in this country. A climate-change denier, Pruitt has done everything he can to prevent EPA scientists from publishing data on climate change, attending meetings, etc. There has been an exodus of scientists from the EPA, and Pruitt has pushed to overturn regulations that until now prevented dangerous toxins that can cause childhood cancers from being used. In addition, the Trump administration called for a 20% cut in funding to the National Institutes of Health, showing not only a lack of concern for the development of new drugs and treatments for diseases that afflict the American people, but also a lack of understanding of how scientific research is an economic engine that has helped the US become (and stay) a global leader. At least until now. Of course, let us not forget that the Trump administration recently put a ban on the Center for Disease Control (CDC) and forbid this institute from using such tainted and terrible words, as “evidence-based, science-based, fetus, transgender, vulnerable, etc.,” in their upcoming budget. The words ‘science-based’ in a budget for the CDC? How inappropriate! Only an administration bent on destroying science and truth could possibly dream up banning the use of these words! For these reasons, I was delighted to read that an active scientist, Dr. Julia Biggins, has signed on to run for Representative of Virginia’s 10th district as a Democrat in the 2018 mid-term elections! 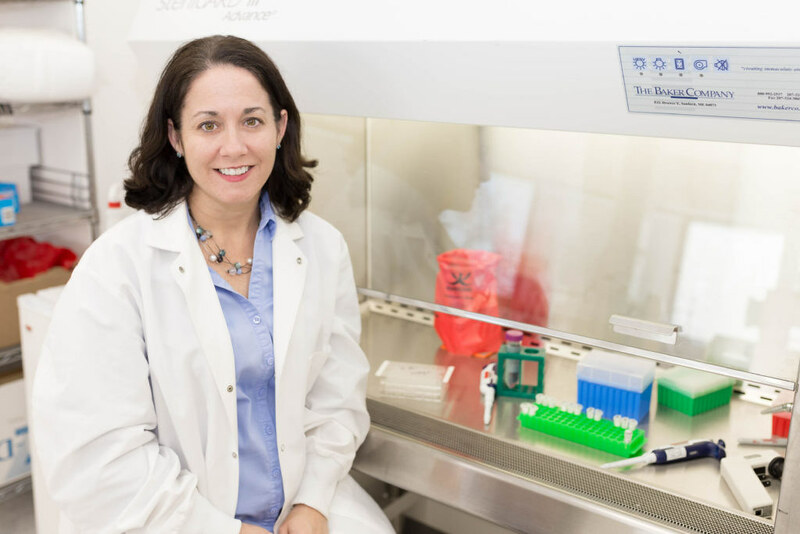 Dr. Biggins is an infectious disease researcher, and she has noted that not only will she fight for science and against the current administration’s anti-science policies, but she will bring all of her scientific training to Congress to fight for rational and common-sense policies to the complex issues facing this country. I cannot stress how much respect and credit Dr. Biggins deserves for her willingness to step into the quagmire of federal politics. To leave behind what was undoubtedly years and years of training and dedication to her field to hopefully provide much-needed support for the rest of American scientists shows that she has broad vision and commitment to the scientific enterprise as a whole. I am certain that she will do a spectacular job if elected, and will fulfill an urgent need to bring “science-based,” “evidence-based,” and “truth-based” discussion back into the national discourse. Run, Julia, run! You have earned my support. This entry was posted in research, science and tagged 2018 midterm elections, anti-science, CDC, Dr. Julia Biggins, EPA, evidence-based, no puppet, Pruitt, science, science-based, scientists, stable genius, truth, Virginia 10th District, war-on-science, war-on-truth. Bookmark the permalink.